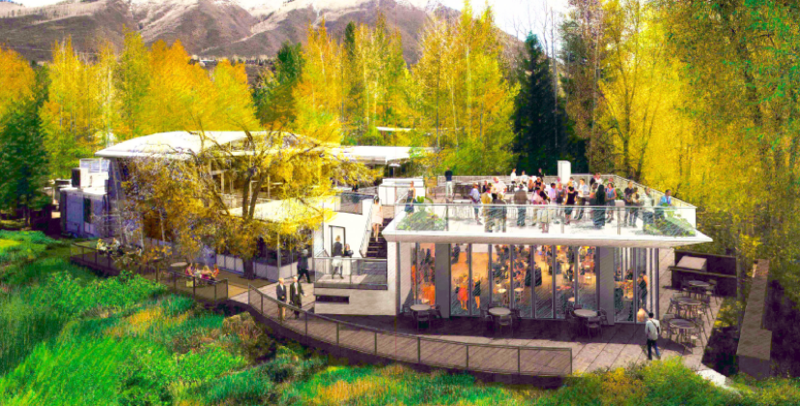 Rendering of the new pavilion and terrace at the Aspen Meadows Reception Center, Aspen Meadows Resort, Aspen, Colorado. I have long admired the Aspen Institute for its deep-rooted history as a thought-provoking organization dedicated to improving the world. The organization and its scholars foster open-minded dialogue and as such, I wanted to help create a meeting place for discussion on challenges facing our nation and the world. That is why the Bren and Melvin Simon Foundation is sponsoring the development of a new pavilion and terrace located at the Institute’s location in Aspen, Colorado.